A musical event was scheduled on 5th of June at TPMJC by South Delhi’s popular restaurant ‘The Piano Man Jazz Club’. However, hours before its commencement it was called off because of uncontainable anger demonstrated on its Facebook page. Many users released their throttle of abusive and critical comments on the post which shared the information of the performance by the controversial musical band. Now this band became the locus of virtual attacks because of its ‘Name’. Yes! Those who still believe in this absurd adage which says:“Naam Mein Kya Rakha Hai”; needs to loosen their firm holds. A band named as ‘Bhangijumping’ was barred from performing by the organizers of the club; considering the unruly flow of harsh comments. 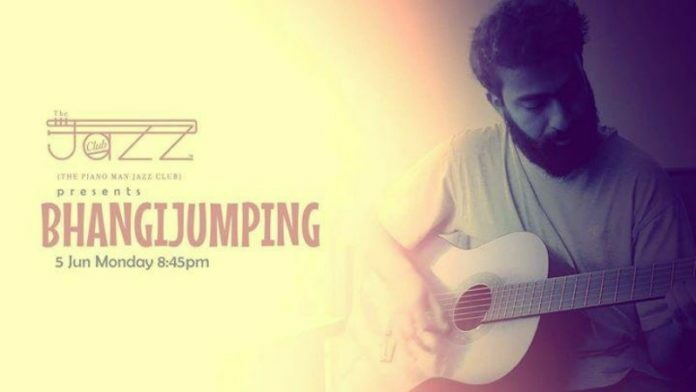 The owner of ‘The Piano Man Jazz Club’ Arjun Sagar Gupta is a musician himself. He came to know about this polemical writings when he was simply skimming his club’s Facebook page. People were also propagating the design for boycotting the club. On this, he reached the musician duo, who claimed to be unaware of the offensive nature of the name. The whole scene behind the name was an attempt to make the pun on the word ‘Bungee Jumping’ (an adventurous sport). However, in this fling of wordplay, they forgot that in India Caste is a delicate issue, it’s ubiquitous, and we are full of it. ‘Bhanghi’, is a caste in India and a tribe in Pakistan. Their traditional occupation is sweeping, a “polluting” occupation that caused them to be considered untouchables in the Hindu caste system. “Someone who lacks a sense of style. Wears bummy clothes, doesn’t shave, shower and is generally unkempt. Tries to save money on everything and always looks for events that offer free food. In whichever sense the term ‘Bhangi’ was used in the pun intended name, one need to remember that how much India is obsessed with Casteism and we can’t deny the existence of caste in India.